After years of focusing solely on the cognitive area, educators have re-embraced the knowledge that learning has its basis in emotion. We also recognize the need for the library to be a safe, welcoming environment for all. Our professional journals discuss the importance of diversity in our collections so students can see themselves in books and also learn about those whose lives are much different. To achieve these goals, we want our students to develop empathy. I just recently posted on my School Librarian’s Workshop Facebook group a list of picture books that promote empathy. But there is little out there in library literature about becoming empathetic ourselves. Empathy is one of the many qualities of leadership. 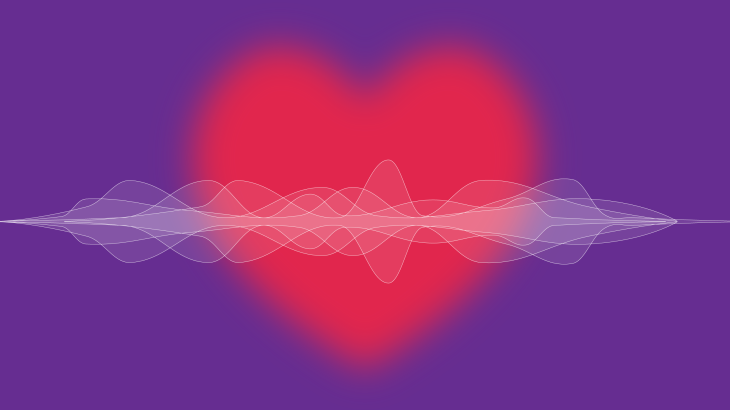 It’s a part of Emotional Intelligence which I have discussed before, including a blog about being Emotionally Connected. Since that post, it’s become increasingly obvious that we must better at it. We need it to communicate more successfully with our students, use it to build relationships with our colleagues, and in today’s often highly-charged atmosphere, we need it to ensure we can get along even with those with whom we disagree. LaRae Quy, whom I have quoted previously, writes Empathy Makes You a More Effective Leader. She makes six points to help you become empathetic starting with Understand[ing] the Meaning of Empathy. It’s not the same as sympathy. That’s something you offer. 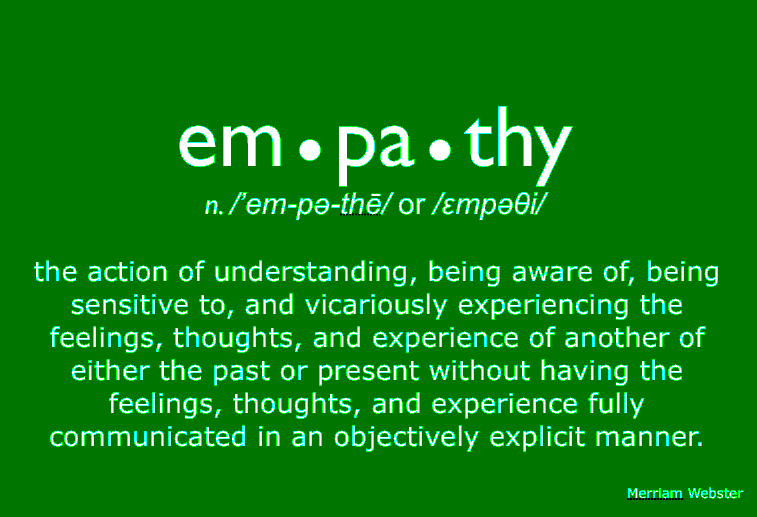 Empathy is about being open to receiving the other person’s emotions or feelings. If you know where the other person is coming from, it is far easier to connect with them. What blocks most people when they try to read body language is their own determination and commitment to be right. We have all dealt with administrators or teachers whose attitude is “my way or the highway.” It doesn’t work. While you never want to communicate in that way, you will need your empathy skills to reach those people. Quy says we need to Realize Empathy is Driven by Our Brain. It’s the neurotransmitters in our brains that help us make connections with one another. The brain rewires to adjust to new situations and help us survive. Getting along with others is a survival mechanism that goes back to cave days. Humans are very fragile creatures. They quickly learned they needed to be with each other and work together for protection. If you think of a clan living together in the confines of a cave, it is easy to see why we recognized the importance of getting along. In our schools today, there are bound to be colleagues who don’t think as we do. We aren’t going to change their minds by arguing. Instead, do what you can to validate their views without violating your own beliefs. Before things get too heated, say something like, “We aren’t going to agree, but I respect your willingness to share your views.” And say it like you mean it. As has been often noted here in several contexts, it’s important to Pay Attention. Facial expressions and body movements all communicate what is going on in someone’s mind. If you are thinking about what you are going to say, or even worse, what you have to do next, you will miss a lot of important information. We also need to Communicate Empathetically. This begins by becoming aware of the cues others send. The signals we send our read by others. If you are talking with a difficult teacher, is your body stiff? Are your lips tight? That will affect your voice as well. When you are engaged in a conversation, tune in to yourself as well as others. Active listening, which supports empathy, is a skill that can and must be learned. It’s one I’ve been working on for years. Do you look up from your computer when someone is talking to you? Better yet, do you stand up and move away from it? Our actions and body language communicate whether we are listening and another person’s willingness to open up is enhanced by our focus. 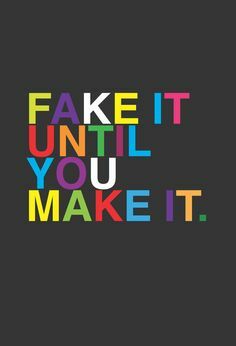 Finally, there is the tried-and-true Fake It Till You Make It. There may be people you feel you can never empathize with. It can be done. Quy, who worked with the FBI, tells of managing to fake being empathetic with a child molester, finding that after faking it for a while she was able to develop a bit of real empathy. That is quite an extreme case but shows it can be done. You just have to be willing to make the effort. Willingness goes a long way. Looking at the ways we are creating relationships by using empathy – or not using it – can show us where we are succeeding or missing the mark when creating a library and library program which is a safe, welcoming environment for everyone.